Inside the Octagon: What a Success! 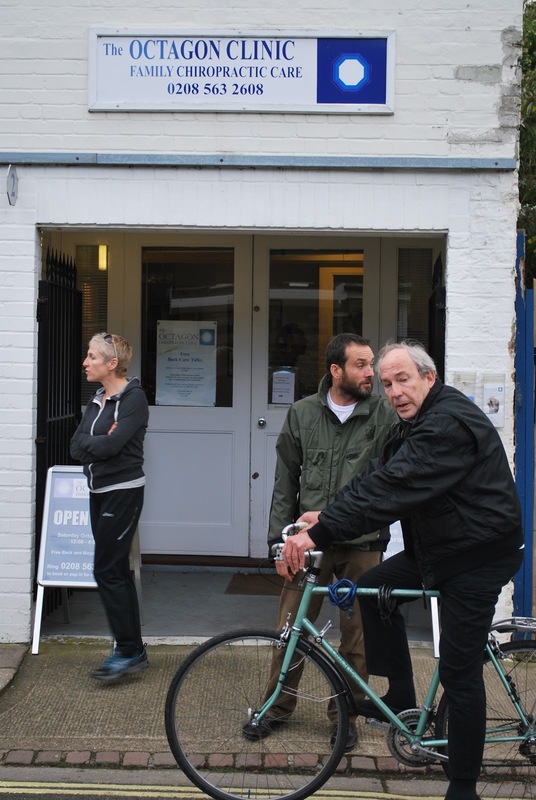 Our 'back to biking' event was held on Saturday 13th October, we had a busy afternoon with lots of people popping into the clinic on their bikes to get health checks - both for their bikes and themselves. We had the lovely Ashley Stanton AKA Doctor Bike who came along to join the Octagon team for the afternoon - he set up shop at the front of reception and cast his expert eye over all the bikes that were brought in, some appeared to almost obtain perfection (Steve's) while others were condemned to some more serious care (mine!). My bike is now spending a lovely holiday in Ashleys workshop 'Cyclebase' located inside the train station in Richmond and will be all shiny and new by the end of the week. At the same time adults and children alike were watched under the careful eye of the chiropractic team - Stephen Hughes, Rachel Hodson and Hazel Dillon - as they cycled up and down the road outside the clinic, a one way and considerably quiet road (thank goodness). They had their posture checked whilst cycling, with some needing a few alterations to their bikes to help with maintaining good and comfortable posture whilst riding. Free massage and posture check anyone? During the event we were also offering free posture checks with the chiropractors and our brilliant massage therapist Yoshiko Beer was providing some lucky visitors with a free 15 minute massage - every single one of them came out looking relaxed and happy. After building up a hearty appetite everyone enjoyed the delicious cakes from Upsy Daisy which were by far the yummiest part of the day. We had carrot cake and seeded flapjacks baked freshly for us that morning and still warm when they arrived at the clinic. We love Upsy Daisy! We took donations on the day for one of our chosen charity's 'Indigo Touch' and everyone was more than happy to make a donation for the delicious cakes and newly rejuvenated bikes. Over the week before the big event the clinic donated £1 to Indigo Touch for every person who walked or cycled to their appointment - in total we raised £35, so thank you to everyone who contributed. Everyone had a wonderful time and the atmosphere was great. The first Octagon Chiropractic Clinic open day was hailed a success - now we've got the bug watch out for news of our next open day - we've got some ideas but you'll have to wait and see. 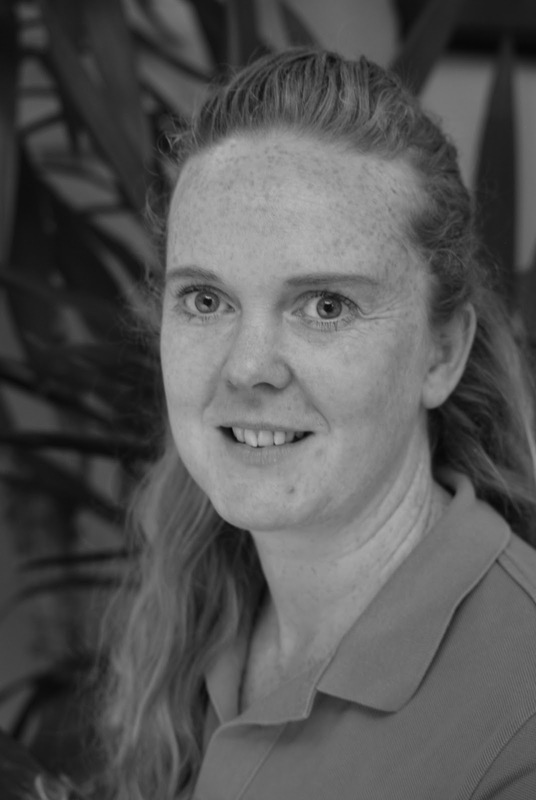 If you feel pain or discomfort whilst cycling or at any other time you are welcome to pop into the clinic for a free 15 minute consultation to see if chiropractic can help you.